Maggie Kneip is a veteran of the publishing industry, with a career spanning two decades as a publicity and marketing executive at houses including Bertelsmann Scholastic Inc. Known for her innovative marketing campaigns – including a global reading initiative that won Scholastic’s corporate marketing award – throughout her career, Maggie has regularly amplified stories by, about and for women. She has appeared on NBC’s Today with psychologist Dr. Dale Atkins, and often with Dr. Atkins, regularly meets with book clubs, churches, synagogues and civic organizations to talk about Now Everyone Will Know and the challenging issue of secrets in relationships and families. 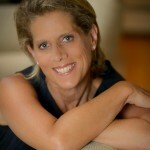 Maggie has also performed as a singer at such Manhattan clubs as the Laurie Beechman Theatre and the Metropolitan Room. 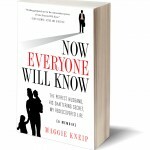 Learn more about Maggie at www.maggiekneip.com.